If you're interested in pursuing a career in engineering, perhaps you'd like to earn your degree online. Some institutions offer programs that are conducted entirely online while others combine online study with a lab component for which you might have to visit the main campus. You'll want to pursue programs from schools that are regionally accredited. Most engineering programs are also accredited by the Engineering Accreditation Commission of the Accreditation Board for Engineering and Technology (ABET). Stony Brook University (SBU) part of the State University of New York (SUNY) system, offers the Bachelor of Science in Electrical Engineering Online (BSEEOL) program which is ideal for people who want to earn an engineering degree while working full time. Accredited by ABET, the program uses the Blackboard system and is conducted completely online, including all courses, labs, tests and academic advising. SBU's program is ranked number one on the Open Education Database's list of the top online engineering colleges. To gain admission to Stony Brook's BSEEOL program, you need to have earned a minimum of 57 credit hours at colleges or universities that have been accredited by one of the United States' regional accrediting organizations as described by the Council for Higher Education Accreditation (CHEA). You will also need to have a minimum 3.0 grade point average (GPA) on your transfer work as a whole as well as a 3.0 GPA in prerequisite courses that include calculus, differential equations, calculus-based physics and computer programming. You will need to pay a $50 application fee and arrange to have transcripts sent to the Admissions Office from your high school and from all colleges and universities you've previously attended. To graduate with a Bachelor of Science degree in electrical engineering from Stony Brook University's online program, you must pass all required coursework with a grade of C or better. You'll take 44 semester hours of required courses for your major, including classes like Electronics I and II, Electromagnetics, and Engineering Design I and II. You'll also select twelve hours of elective courses from offerings such as MOS Transistor Modulating and Power Systems Engineering. With the help of your adviser, you'll choose six hours worth of open electives. The degree requires a minimum of 120 credit hours. 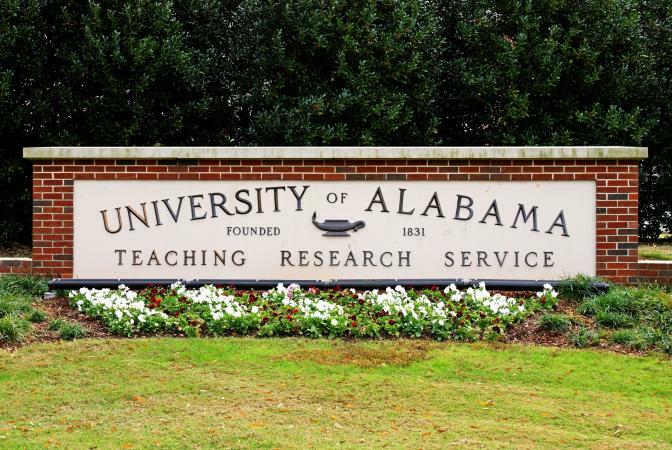 The Open Education Database ranks the University of Alabama (UA) number two on its list of the top online engineering colleges because of its mechanical engineering program. You can access both lectures and courses for the program through a digital library and the Blackboard system, though for three courses, you'll need to go in person to do lab work at the main campus located in Tuscaloosa or at satellite locations in Gadsden or Dothan. The program, part of UA's Bama by Distance, is accredited by ABET and offers a Bachelor of Science in mechanical engineering. Bama by Distance's mechanical engineering program is open to both first-time freshmen and transfer students. If you've earned previous college credit, you'll need to send transcripts from each college or university you have attended to the University of Alabama Admissions Office. If you've earned less than 24 college credit hours, you'll also need to have your high school send your transcript. You must have a minimum 3.0 GPA on your high school coursework and a minimum 2.0 GPA on any college coursework. You'll need to apply for admission online. Students must earn a minimum of 128 credit hours to satisfy degree requirements for the mechanical engineering program. You will need to take general education courses, including English, math, science and social and behavioral sciences. You must take 54 to 56 hours of coursework in the mechanical engineering core curriculum, which includes introductory classes in the field as well as upper-level classes like Heat Transfer, Mechanical Engineering Design and Dynamic Machine Components. From Arizona State University (ASU), you can earn an online Bachelor of Science in Engineering (BSE) degree in electrical engineering or engineering management that's accredited by ABET. 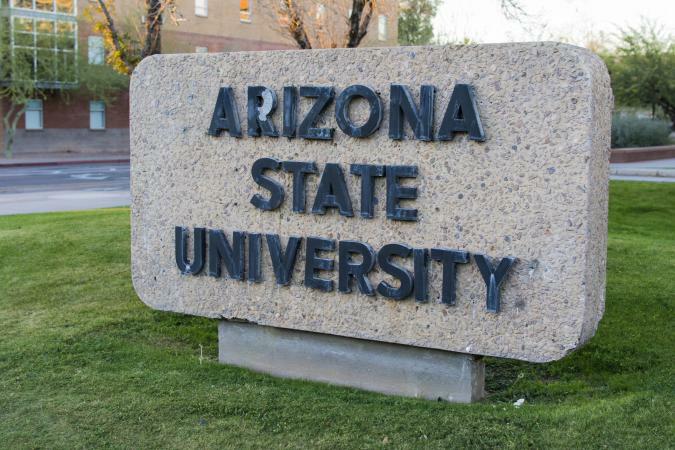 ASU Online offers a sophisticated online classroom for students. The university was one of the first to employ Google Apps for Education. They utilize a portal called MyASU, through which students access Google Drive, PDF readers, Microsoft Office and other classroom tools. To instruct students, faculty members use Zaption, a program that lets them create interactive video courses with tests and analytics. If you're a first-time freshman, you'll need to have taken sufficient coursework at your high school to satisfy ASU's competency requirements. You'll also need to have achieved at least one of the following: a minimum 3.0 GPA on your competency coursework, a composite score of 22 on the ACT, a SAT reasoning score of 1040, or be in the top 25 percent of your graduating high school class. If you've previously earned college credit, you'll need to apply as a transfer student. If you have less than 24 transferable hours, you'll need to meet freshmen requirements for admission and have a minimum 2.5 cumulative GPA. If you have more than 24 transferable hours, you're eligible for admission if you have a GPA of 2.5 or above. All students must apply online and arrange to have applicable transcripts sent to the ASU Admissions Office. For the online BSE in electrical engineering, students must earn a minimum of 120 credit hours. Some of these courses will be general education coursework, such as English, humanities and social and behavioral sciences and science courses like physics and chemistry geared toward engineering students. In your major field, you'll work your way from basic engineering courses such as Circuits I and Fundamentals of Electromagnetics to upper-level courses such as Random Signal Analysis, Fiber Optics and Energy Systems and Power Electronics. Students must take a minimum of 120 credit hours to earn the online BSE in engineering management. As with the electrical engineering degree, you'll take some of your coursework for the purpose of satisfying general education core requirements. You'll also take supporting courses in accounting and management. In your major field, you'll begin with introductory courses like Introduction to Engineering and Probability and Statistics for Engineering Problem Solving. Your upper-level coursework will include classes like Engineering Administration, Quality Control and Production Control. Kennesaw State University (KSU) offers an online Bachelor of Science degree in Industrial Engineering Technology, which will help graduates make careers for themselves helping organizations, whether industry, business, or government, to operate with greater efficiency. The Bachelor of Science degree is accredited by ABET and offers courses through video lectures and web conferencing. The online version of all major courses is offered at the same time as the campus versions, so that all students, both on campus and online, can work with the same course materials and instructors. Students who are interested in earning an online degree at KSU must familiarize themselves with application procedures, applicable deadlines, the application fee, how to declare a major and how to apply for financial aid. Then you can apply online by scrolling to the bottom of the application page and clicking "apply now." If you're seeking admission as a first-time freshman, you'll need to have earned a 2.5 minimum composite GPA on all your required courses from high school. You'll also need to have scored at least 950 on the old SAT (taken before March 2016) or a 1030 on the new SAT (taken after March 2016) or a composite score of 20 on the ACT. If you've earned thirty semester hours or more of previous college credit, you must apply to KSU as a transfer student. You will need to have all necessary transcripts sent to the Admissions Office. To earn an online Bachelor of Science degree in Industrial Engineering Technology, you must take a minimum of 127 hours of credit, including 42 hours of general education core courses. You'll also need to take 18 credits of lower-division requirements for your major, such as chemistry, technical writing, computer programming and engineering graphics. Required upper-level courses for your degree will include classes such as Logistics and Supply Chain Management, Engineering Economy, Operations Management for Engineers and Ethics and Safety. All programs are accredited by ABET except for petroleum engineering, whose accreditation is pending. Because of the program's flexibility, these online programs are ideal for people who work full-time, allowing them to earn an engineering degree in six years. Students can complete all coursework online except for a lab component which requires a few on-campus visits. UND uses the Blackboard system for its online courses. A minimum GPA of 2.75 with an ACT score of 22 or equivalent SAT (1100). You must have completed the required college preparatory curriculum from your high school. You'll need to have your high school send your transcript to the UND Admissions Office. Transfer students must have their official transcripts sent to the Admissions Office from each college or university they have attended. You must have a minimum 2.0 GPA for your previous college work and be in good standing at the last school you attended. If you have under 24 transfer credit hours, you'll also need to meet freshman admission requirements. All of UND's online degree programs follow the regular academic calendar, with classes starting in fall and spring. Students also have the option of taking courses in the summer. Included in each engineering degree's curriculum are general education core courses such as college composition and math and science classes that support the field of study. Chemical Engineering - Students must take 133 credits to earn a Bachelor of Science in chemical engineering. Of these credits, 36 hours must be upper-level courses such as Chemical Engineering Reactor Design, Process Dynamics and Control and Thermodynamics and Kinetics. Concentrations are available in Energetics, Sustainable Energy Engineering, or Petroleum Engineering. Civil Engineering - To earn your Bachelor's degree in civil engineering, you must take 134 credits, and 36 hours of these credits must be upper-level classes like Civil Engineering Laboratory I and II, Hydraulic Engineering and Engineering Economy. Electrical Engineering - Students must take 136 credits to earn a Bachelor of Science in electrical engineering. Of those hours, 36 must come from upper-level courses like Electric and Magnetic Fields, Embedded Systems and Electric Drives. If you choose, you can earn an Electrical Engineering degree with an Aerospace, Biomedical Engineering, or Computer Science focus by taking upper-level courses supporting those fields. Mechanical Engineering - To complete a Bachelor's degree in mechanical engineering, you must earn 129 credits, and 36 hours' worth of these credits must be upper-level courses such as Design of Machinery, Fundamentals of Heat and Mass Transfer and Engineering Design. For this degree, you can focus on Mechanical Design, Thermal Sciences, or Manufacturing and Materials, or you can graduate with a concentration in Aerospace. Petroleum Engineering - The Bachelor of Science degree in petroleum engineering requires 128 credit hours, and 36 of these hours must come from upper-level coursework like Petroleum Fluid Properties, Advanced Drilling Engineering and Numerical Reservoir Simulation. Elective courses are available in technology, geology and entrepreneurship. From Southern Illinois University at Carbondale (SIU) you can earn an online Bachelor of Science degree in Industrial Management and Applied Engineering, which combines management and technology skills and applies to a career in developing systems that facilitate the distribution and production of goods and services. SIUonline uses the Brightspace learning management system to deliver quality learning tools such as video conferencing, live classrooms, and other sophisticated online engagement capabilities. The IMAE program is accredited by the Association of Technology, Management and Applied Engineering, (ATMAE). Students interested in earning a degree from SIU are encouraged to apply online. If you prefer, though, you can download the printable application and mail it to Undergraduate Admissions, 1263 Lincoln Drive, Mail Code 4710, Southern Illinois University, Carbondale, IL 62901. Applications require a $40 fee. If you're a first-time freshman, you must have taken prerequisite college preparatory courses in high school. Admissions officers will also consider your high school GPA and ACT or SAT scores. Transfer students must have earned 26 transferable semester hours with a cumulative 2.0 GPA. If you have earned less than 26 hours, you must also meet freshman requirements for admission. Be sure to have all your relevant transcripts and test scores sent to the SIU Admissions Office. You'll need to earn 120 semester hours to graduate with an online Bachelor of Science degree in Industrial Management and Applied Engineering. Of those credits, one-third will include coursework in general education, such as English composition and other classes required of all students working toward bachelor's degrees. For your upper-level coursework, you'll focus on classes in your field, such as Supply Chain Operation and Logistics, Computer Aided Manufacturing and Cost Estimation. 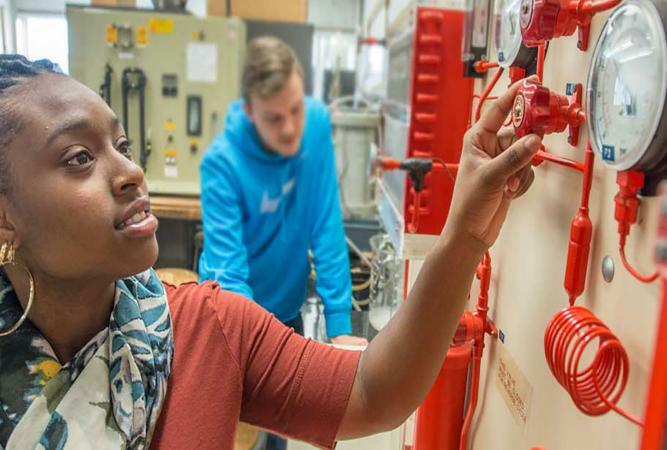 If you're interested in creating, maintaining, and selling engineering systems, you'll want to check out Trine University's ABET-accredited Bachelor of Science degree program in Design Engineering Technology (DET). The school is ranked number three on the Open Education Database's list of the top online engineering colleges. Students can earn the degree entirely online without any lab components that would necessitate a campus visit. Courses are offered using Moodle, interactive software that provides class materials and the capability to interact with faculty members. Trine University looks at each applicant's unique credentials, including high school coursework GPA and test scores for first-time freshmen and transferable credit and GPA for transfer students. To apply, you'll need to go to the application page, then select the category that applies to you, whether undergraduate student, transfer student or international student. You'll need to follow the directions and prompts for the application that's relevant to you and have all pertinent transcripts and test scores sent to the Admissions Office. You'll need to take 121 credit hours to earn the online Bachelor of Science degree in Design Engineering Technology. Of these hours, 42 will consist of general education core courses. Major courses include 48 hours of engineering fundamentals and twelve hours of management core courses. You'll need to choose 19 hours' worth of electives that support your degree. Your engineering coursework will include Engineering and Manufacturing Systems, Computer Numerical Control and a Senior Design Project. At the University of Southern Mississippi (USM), you can earn an online Bachelor's degree in Construction Engineering Technology or Industrial Engineering Technology. Both programs are accredited by ABET. The construction engineering degree is unique among online engineering programs since it helps develop skills in architecture along with skills in engineering. You can earn either of these degrees entirely online, and you won't have to travel to the main campus for labs. USM utilizes Blackboard for online degrees. Students may access tutoring through the university's Speaking and Writing Centers. The school will admit transfer students if they have an Associate degree or 30 semester hours of coursework which is transferable to their program of interest. If they don't meet either of these conditions, they must satisfy freshman admission requirements. All transfer students must have a minimum GPA of 2.0 on coursework taken at previous colleges or universities. USM designed their online degree programs to be flexible. You can take courses either full time or part time, depending on what works best for you. Both engineering degree programs include a general education curriculum with courses in written communication, science and math, humanities, social and behavioral sciences, and computer competency. Construction Engineering Technology - Students must earn 124 hours to graduate with an online degree in Construction Engineering Technology. You'll take 68 hours of coursework in your major, along with 29 hours of other requirements that support your degree. Major coursework will include classes like Construction Planning and Scheduling, Construction Project Management and Soils and Foundations. Supporting coursework will include classes in management, accounting and economics. Industrial Engineering Technology - To graduate with an online degree in Industrial Engineering Technology, you must earn 124 hours, which will include 51 hours of study in your major and 24 to 37 hours of supporting coursework. Classes in your major will include Industrial Quality Control, Plant Layout and Material Handling and Global Supply Chain Management. You'll also take supporting coursework in management, computer programming and statistical methods. At Brigham Young University (BYU), which is administered by the LDS Church, you can earn an online Bachelor of Science degree in software engineering. The program got its start in fall of 2014. 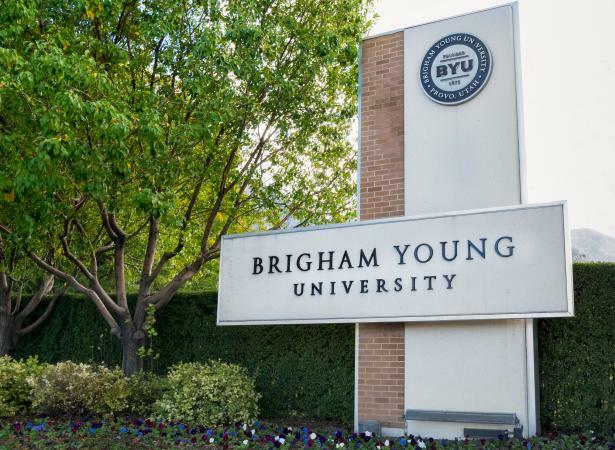 Brigham Young University is accredited by the Northwest Commission on Colleges and Universities. The online degree program is designed to be flexible, and you can take classes either full time or part time. The courses are taught via audiovisual media, and students can interact on discussion boards and open forums. To apply to BYU, you'll need to visit Be Smart, an online application interface, and begin the process by clicking on "Apply Now." At BYU, admissions eligibility for first-year prospective students is determined by a combination of high school GPA and SAT or ACT scores. If an incoming student has earned more than 24 credit hours, admission is determined by cumulative GPA from previously attended colleges. The BYU Admissions Office also requires that prospective students submit essays and give details on extracurricular activities. To earn an online Bachelor of Science degree in software engineering from BYU, you'll need to take 120 semester hours of credit that include 40 hours of general education foundation courses. You'll take 54 hours in your major and 26 hours of electives. Introductory major courses include classes in software development, data structures and digital systems. Your upper-level coursework will include classes such as Software Design and Development, Human-Computer Interaction and Computer Security. If you're employed, raising a family, or not interested in traditional campus life, you might find an online program to be a terrific option for earning a Bachelor's degree in an engineering field. By taking courses online and on your own time, you will gain a great deal of flexibility that will help you achieve your specific career goals.